According to my old publisher, ebooks now account for a quarter of all sales in their science fiction and fantasy categories, and that rate is increasingly rapidly. It’s understandable with so many early adopters in this genre, though I could have guessed it with the number of ebook queries I’ve been getting lately. So as a resource, I thought I’d list all my ebooks currently available and point to those about to be published. You’ll find that below. (I’m reliably informed that all these are also available in ePub format from Waterstones. 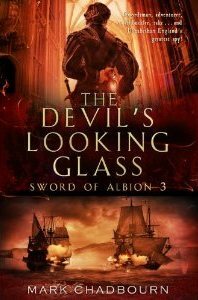 In the UK, The Sword of Albion and The Scar-Crow Men will be available shortly. In the US, The Scar-Crow Men, Jack of Ravens, The Burning Man and Destroyer of Worlds will be out in the very near future. A quick look suggests the UK eBook titles are also available in ePub format from Waterstones for those of us using a Sony device rather than a Kindle. Thanks, Selina – I’ll update. It would be great to get hold of a copy of The Fairy Feller’s Master Stroke, as I have always been a fan of the painting, and keen to read it since I stumbled across Neil Gaiman’s review years ago. Yes, I think lots of us are making moves to get our backlist out there in e-format at the moment. Definitely the right time to be doing it! It’s certainly been an interesting few months, since I started doing this at infinity plus. Keith, love to have a chat with you about your experiences, maybe via email? Call me old fashioned but I like holding a book! It would be nice to be able to ready a copy of ‘Undergroud’ and ‘Testimony’ though. I failed to notice until now that you wrote ‘The Fairy Feller’s Master Stroke’ and am now very excited as I did an essay on this at uni, after visiting the painting in London. I prefer books myself, but an ebook reader is good for cheap versions of books you might not normally buy but are interested in checking out + it’s easy to download samples to see if you’d be interested. I also did a lecture at the Tate about the painting. Dadd is a fascinating artist. I’m in the USA and trying to read the Brother’s of Dragons, but I can’t get any of the Kingdom of the Serpent books for $40 a book. I’ve really enjoyed the series and it kills me that i won’t be able to finish for a while. Do you know when the ebook versions will be available in America? Hello Dave- Pyr, my publisher in the US, is publishing all of the Kingdom of the Serpent books in hard copy and ebook in the first quarter of 2012. I know it’s a bit of a wait, but it’s just how Pyr’s schedules worked out. Yeah, I too prefer books, but I’m seeing the benefits of e-readers. My uncle got my mum a Kindle recently, and I love it! As for your back catalogue, Mark – Fairy Feller! Definitely! Hey Mark, I know you said you expect the Kingdom of the Serpent series to hit the US in the near future, but I was wondering if you may have a more specific time. I’ve just finished the Hounds of Avalon and I’m dying to see what’s next. Also, thank you for writing the best series I’ve ever read. I’ve enjoyed every moment. @ Jonathan – Glad you’re enjoying them! Pyr will be publishing the Kingdom of the Serpent books in early 2012. John Picacio is currently working on the covers. I have recently moved to the Uk from Australia and all my books are packed away in boxes in Aus as they are too expensive to ship. I have been trying to get ebook copies of all my favourite books so I can take them anywhere on my IPad. One of my favourite books is Scissorman, anything you can do to get an ebook version out as soon as possible would be greatly appreciated. instead some DRM-Free books from a different store. Firstly, authors have no say over e-formats – this is all solely decided by the publisher, in the same way that the publisher decides what constitutes a hardback, trade paperback and the rest. Secondly, there *is* a debate going on right across the industry. I’m not a supporter of DRM and I’ve made my voice be heard.I think in the coming months and years we’ll see some big changes in this area. Hi. Any progress on getting some of your older books reprinted in e-book format? Hi Scott – Good timing! They’ll be coming at a regular pace from this August, starting with ( a re-titled) Testimony.